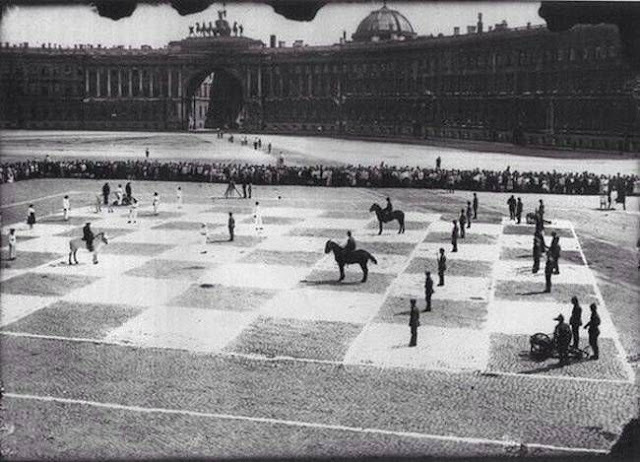 Human chess in 1924 St. Petersburg. A costumed human chess game has been staged every two years on the second week in September in the Italian city of Marostica, near Venice since 1923. The game commemorates a legendary chess game played in 1454 by two young knights in order to settle which of them would court the lady that both had fallen in love with.